Bravo Screens presents several unique business opportunities for those highly motivated and enterprising companies or business individuals that want to become part of our continued growth and success. Bravo prides itself on producing and manufacturing the most innovative and superior quality products on the market today. Our customer service is second to none. Our sales span the globe from North America, South America, Asia, Europe and Australia. 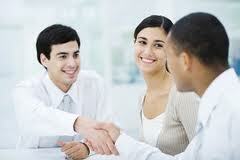 Therefore, we are always looking to expand our partnerships with new associates. At Bravo, our support and product lines are the central component to our successful relationship with our associates. We understand that your success is our success, therefore we are dedicated to providing you with the key resources you need. To know more about us and why partnering with Bravo Screens is a smart move, we invite you to view Partnering with Bravo Screens to understand more about the products and support we can offer our Dealer Network.